E coli, Campylobacter, Shigella etc. With a vast array of significantly sized all-inclusive hotels these Mexican resorts typically offer luxury to holidaymakers. Where hotels accommodate and cater for large numbers of guests, it is important that hygiene standards are in place and that they are followed. It is also important that general standards are maintained. Where hygiene procedures are not followed and where facilities (such as the swimming pool) are not adequately maintained then diseases including E.coli, salmonella, cryptosporidium and campylobacter may become a serious problem. Suffered Food Poisoning in Mexico in the Last 3 years? If you have travelled to Mexico, have suffered illness in the last three years and suspect that the illness was contracted within the hotel then you may be entitled to claim compensation from your tour operator in the UK. To find out whether you can claim holiday illness compensation contact us online today using our enquiry form. Alternatively, call 0808 145 1353 to peak to the experts and to get free initial advice. If you have already written to your Tour Operator and been told that you do not have a claim or that you need to prove your claim we may still be able to help. Riviera Maya & Playa Del Carmen – Are there currently any problems? It should be remembered that many of hotels offered by tour operators are of a good standard and provide successful and enjoyable holidays. However, at Simpson Millar, our holiday compensation lawyers monitor and watch hotels for signs that may indicate illness or sickness problems. The below hotels are amongst those that are monitored. At Simpson Millar we will give you free initial advice and will let you know whether we believe you have a valid claim for holiday compensation. 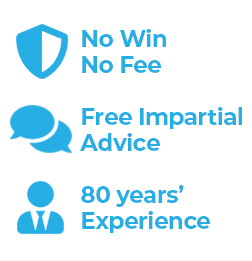 If we believe that you have a valid claim then we may take on your claim on a no win no fee basis. Unlike some other firms, Simpson Millar have a Holiday Compensation Claims Team that are experts in recovering compensation for holiday illness and that are well known to the major tour operators. To discuss whether you are entitlement to claim compensation - contact us without delay.